Check the works of Florence Babenco in the Mirror Worlds exhibition! We have added a new artist to the Mirror Worlds exhibition: Florence Babenco. 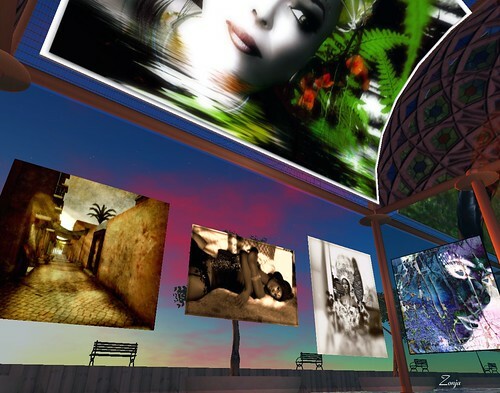 Florence is an old SL friend of Ludmilla and me, since the times of the “Las Tres Gracias” exhibition in SL, and she is a great artist. 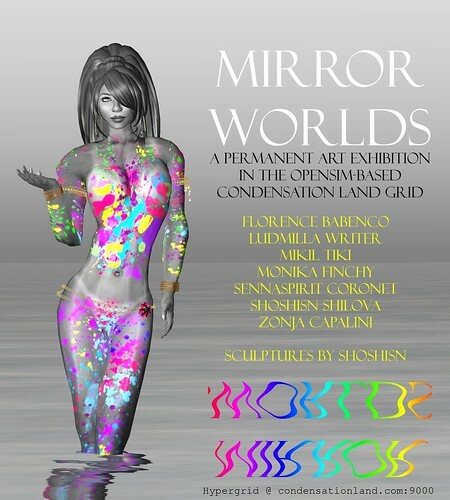 We’re very proud to have her works displayed in Mirror Worlds. Very honored to be a part of a new exhibition with you. Really delighted! Thank you for the invitation, the choice of photos and the work made in – wold. Felicitaciones a todos los participantes y felicitaciones a ti, Zonja, por esta página que comienza su recorrido con tanto arte !!! Estoy verdaderamente contenta de recobrarle y qué la exposición sea extendida esta vez con nuevos artites. My compliments on a great publication…. Is the Condensation land grid open to the general public ? they are so shy !! !